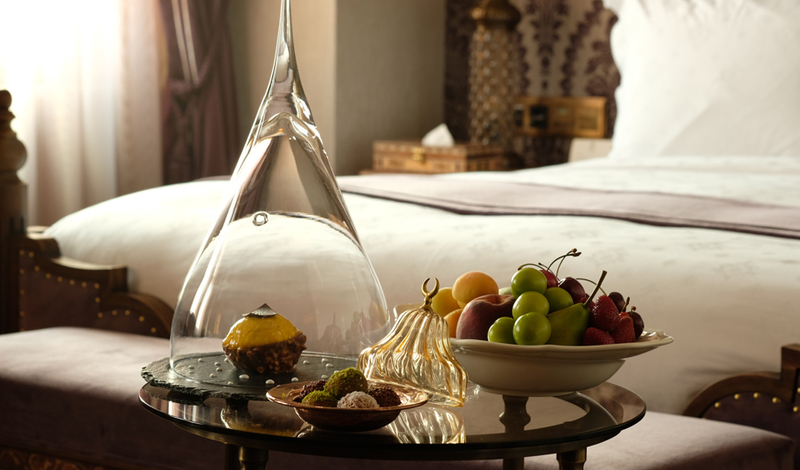 Guests can savor old-world splendor and understated glamor throughout the hotel’s guest rooms and public space. 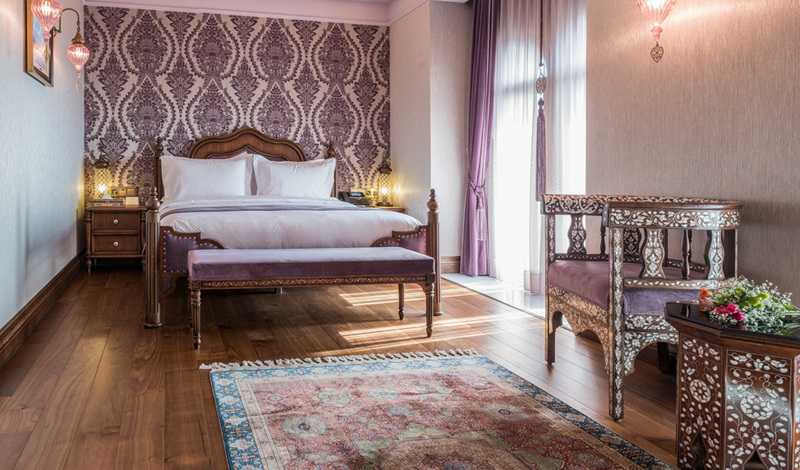 The 61 carefully curated rooms and suites variously offer views of the Old Town and the Sea of Marmara and feature handmade furniture with in-laid mother of pearl, precious Tabriz silk carpets, Ottoman style seating, ornamental lighting fixtures with classical motifs, decorative hand-painted ceilings, immaculate and austere marble work and a variety of tiles inspired by those in the Topkapi Palace. 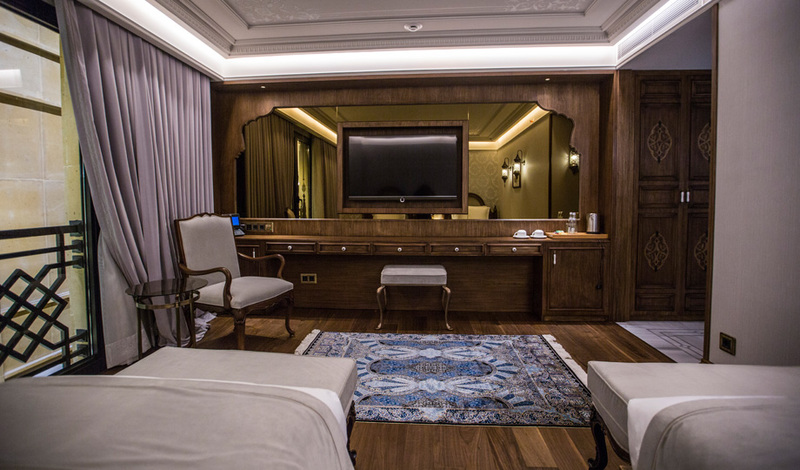 Lavish marble bathrooms with copper basins, handmade tiles and luxurious amenities and complimentary private in-room bar are among the hotel’s standard offerings. 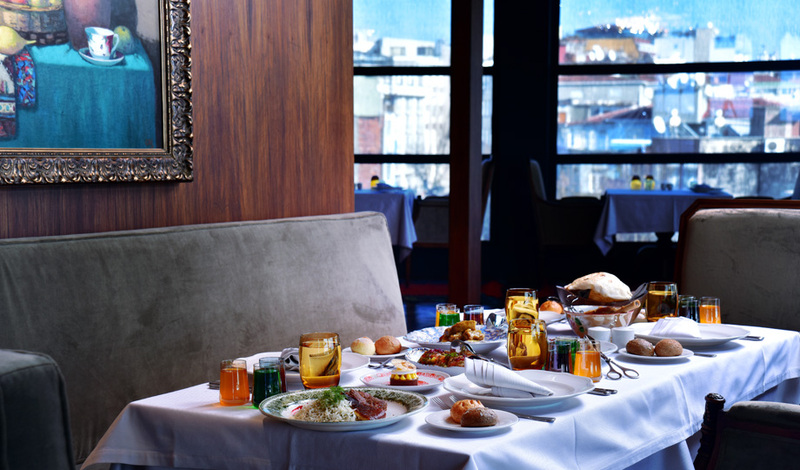 A special take on the rich world of Azerbaijani cuisine. 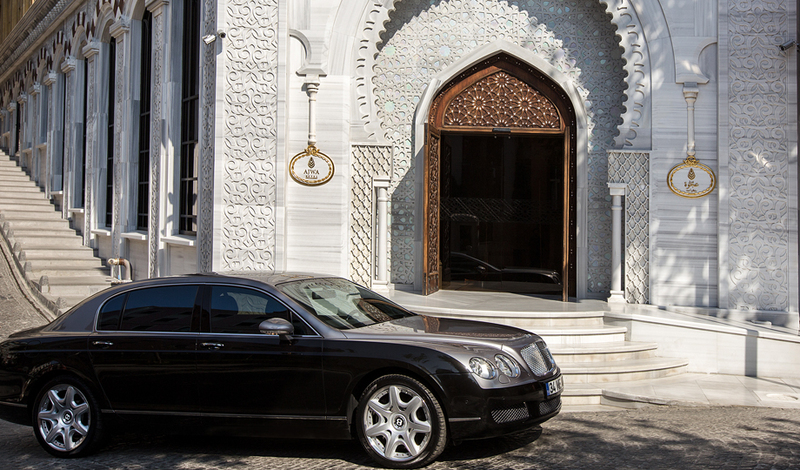 A magnificent venue with crystal amber-colored lightings and touches of Turkish-Islamic arts. 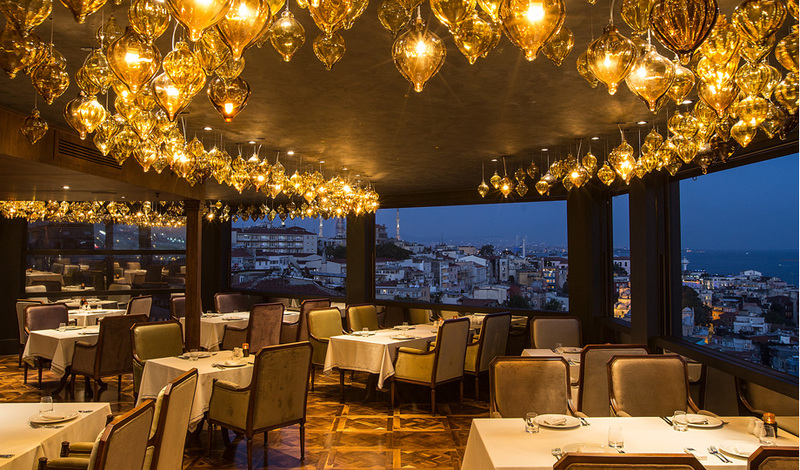 Zeferan Restaurant is situated on the top floor of Ajwa Hotel Sultanahmet and offers panoramic views of the Old Town and the Sea of Marmara and its shoreline. 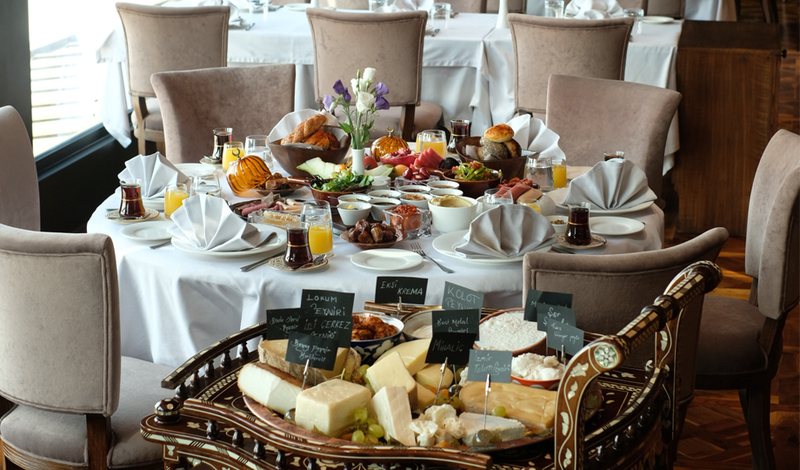 The cuisine is predominantly Azerbaijani which while bearing similarities to Turkish food, offers a diverse range of rice dishes, vegetable and pickle roasts and an abundance of greens and grilled meat. 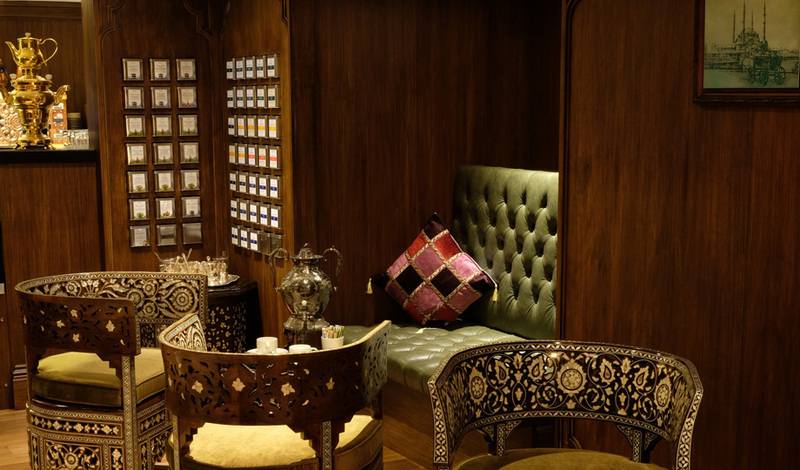 On the Mezzanine level of the hotel, the Sukkari Patisserie offers a rich selection of pastries and cakes, all homemade, as well as a rich selection of teas from all over the world served in a warm, authentic setting. 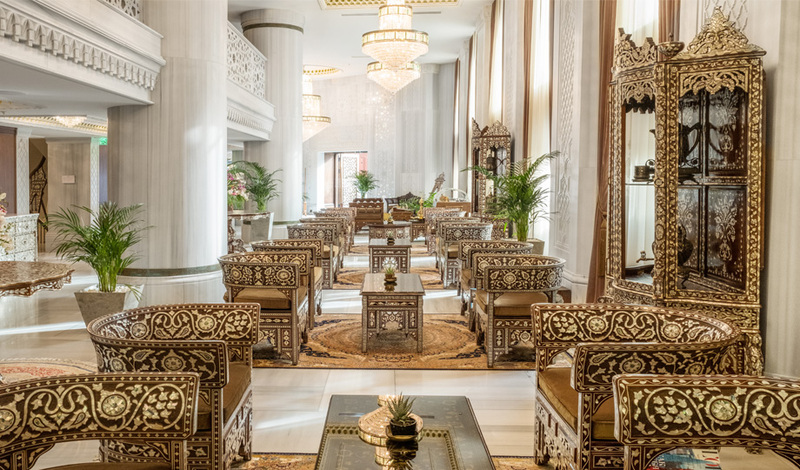 The adjacent Library is an additional corner to savor with your family and guests. 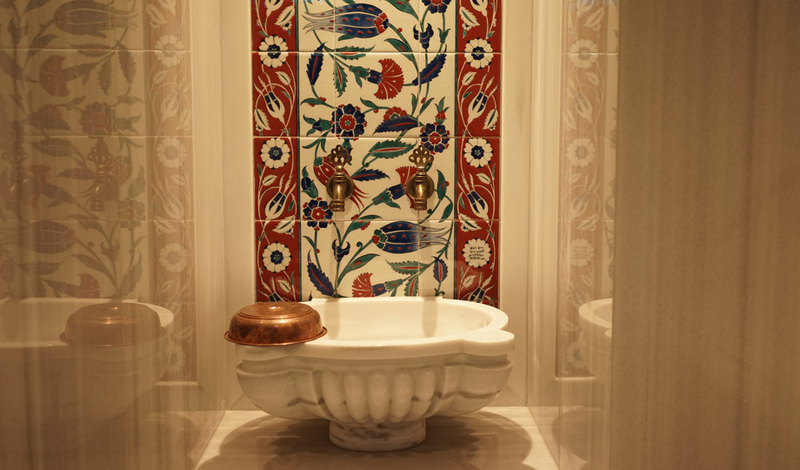 The Hammam, or Turkish Bath, has always played an important part of the daily lives of Ottomans. 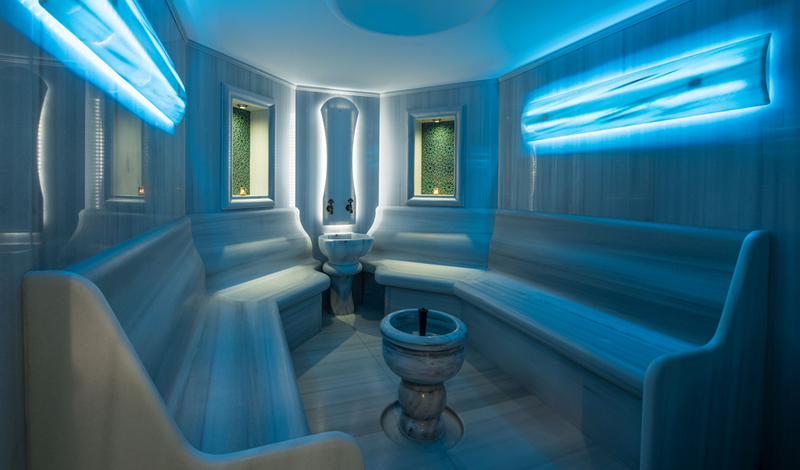 The tradition and rituals of this bathing culture remain very much intact in our times too, as guests will experience at Afiya Spa and Fitness. 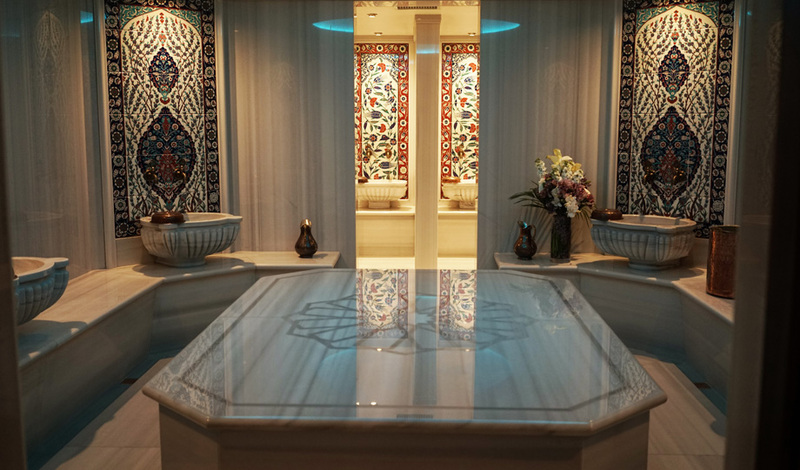 This beautiful facility lives up to the meaning of its title which, apart from an expression of good wishes for health, literally means “health and cleanliness”. 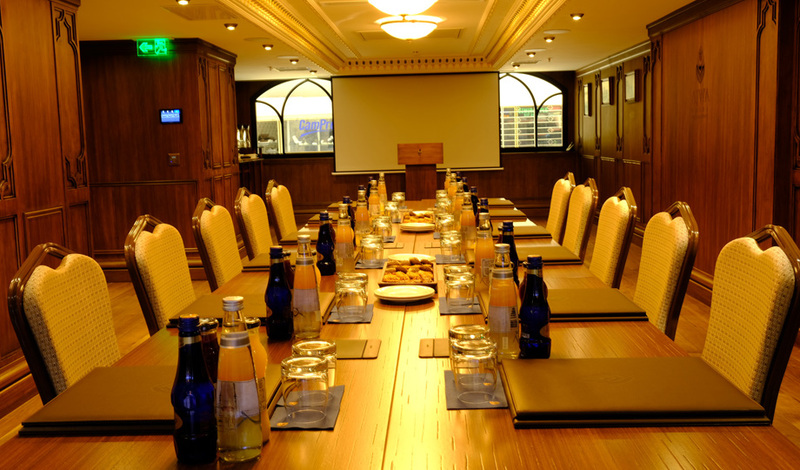 A perfect address for select meetings and gatherings. 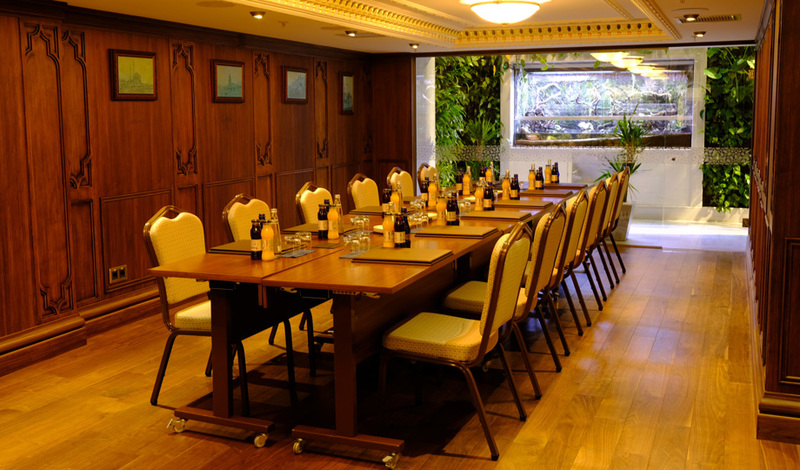 Amber and Şerq meeting rooms, located on the Mezzanine and the uppermost levels of the building, respectively, are ideal venues for prestigious events. 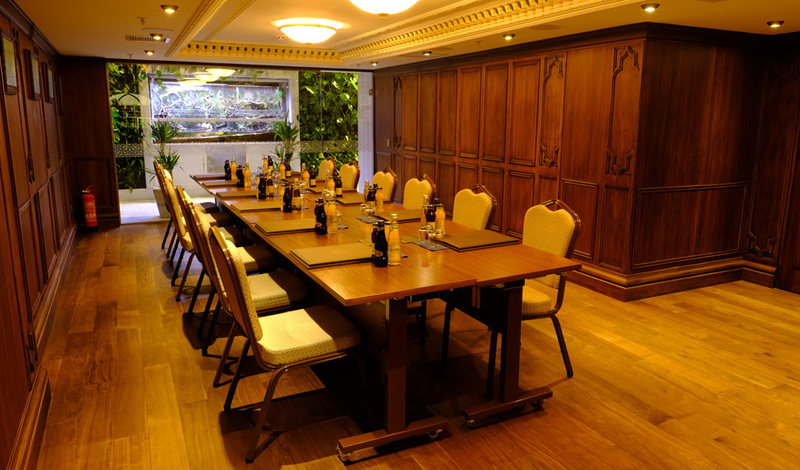 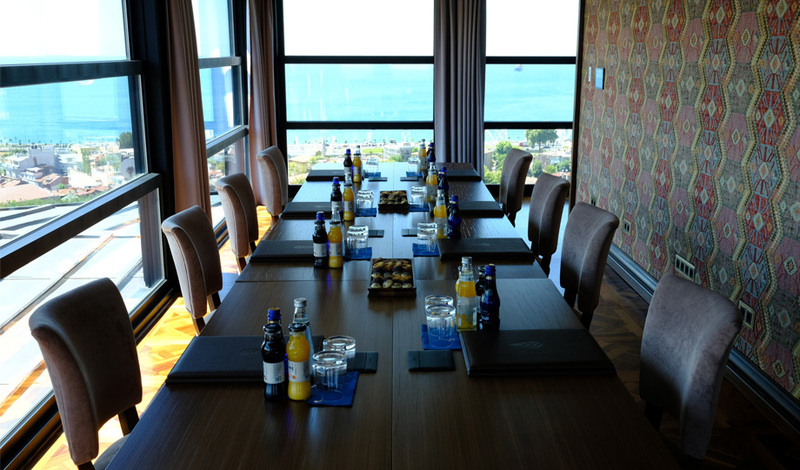 Each room is elegantly furnished and equipped with the technology and facilities to help produce an environment for flawless and successful meetings. 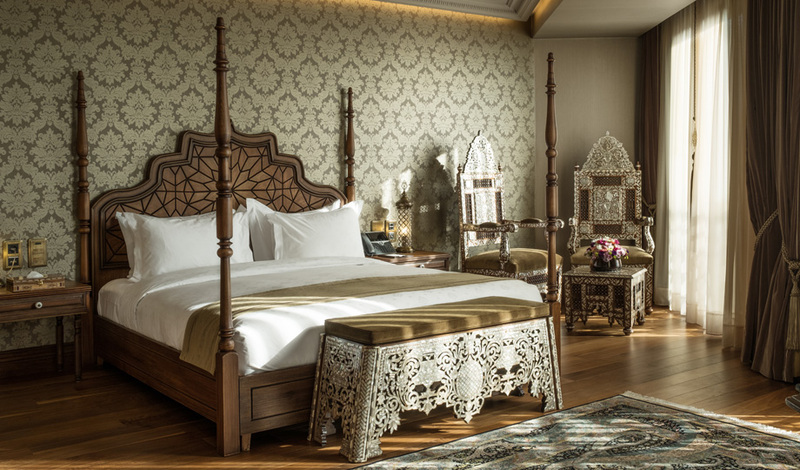 Old City of Istanbul, a UNESCO World Heritage Site, at a walking distance to all the major mosques, museums and bazaars. 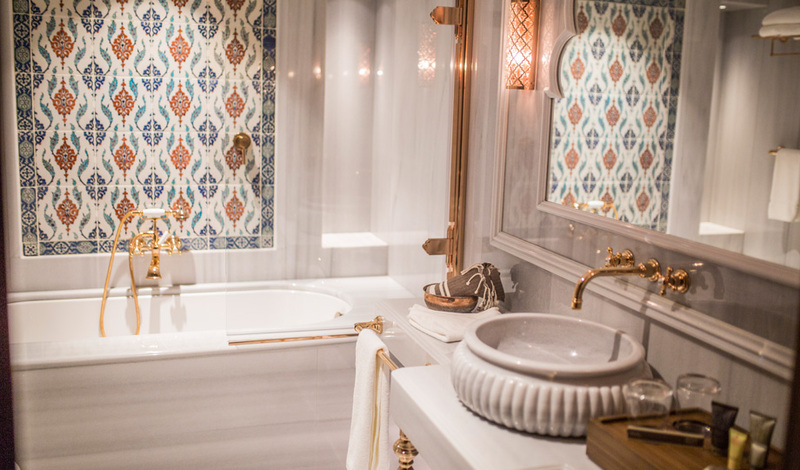 Its unique setting allows guests to experience layers of history within easy reach and to delve into the splendors of Byzantine and Ottoman eras.